ISSYK-KUL PROVINCE, Kyrgyzstan -- Kyrgyzstan is training its troops and other citizens in an effort to curb extremism and raise awareness. Thirty-three residents of Jalal-Abad Province have been killed so far in combat in Syria and Iraq, Yerlan Myrzayev, a State National Security Committee (GKNB) official, said in a speech in Jalal-Abad city in September, according to Kabar.kg. Myrzayev was attending a meeting of a co-ordination council overseeing public safety, defence and emergency response. Since the start of 2016, "we have conducted 'Hypothetical Terrorist' training operations 31 times in the province", said Myrzayev at the council session. "In addition, we held events with managers and employees at strategic facilities to bolster security," he said. In an effort to teach troops the teamwork needed to rescue hostages and defuse improvised explosive devices (IEDs), the Kyrgyz military conducted the Issyk-Kul Anti-Terror-2017 exercises in Bayet village, Issyk-Kul Province, September 16. 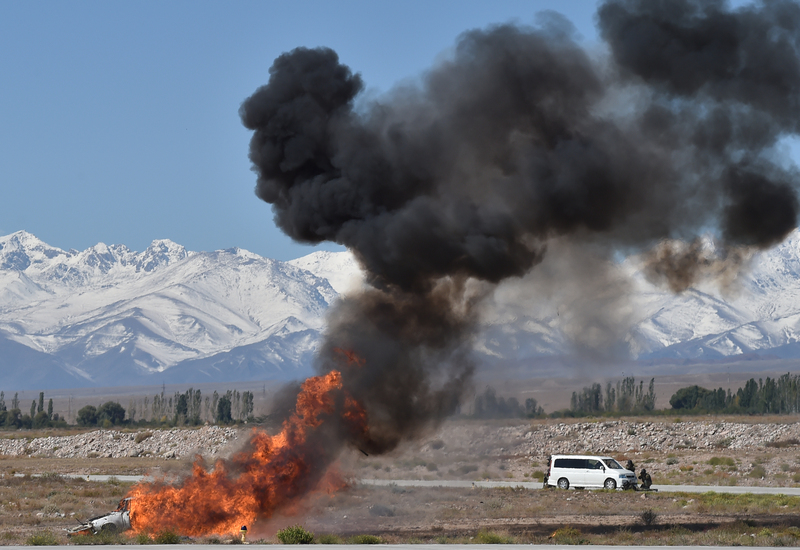 Kyrgyz citizens, environmentalists and civil society activists are calling on the government to stop Russia-led military exercises from dropping ordinance on the country's main tourist attraction.